For some of us, golf is a year-round activity and for others, spring means the start of a fresh golf season! 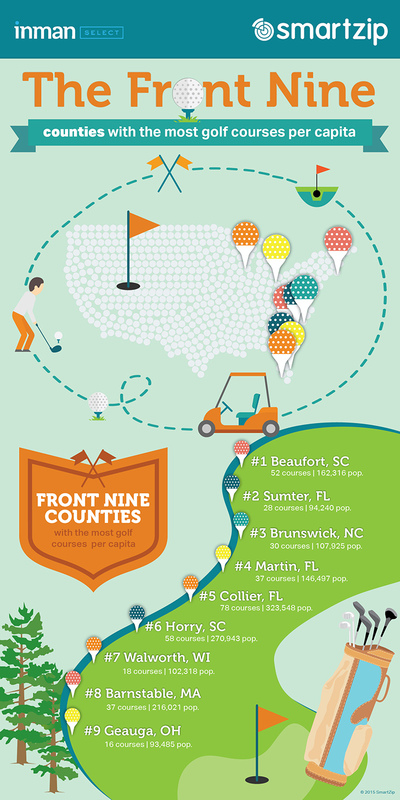 Whether you’re dusting off your swing or coming off the best round of your life, we want to share some great stats on the top counties for golfing nationwide. To find out what counties had the most golf courses in the U.S., we used data from counties with more than 90,000 residents and included both public and private golf courses. We then adjusted these numbers for golf courses per capita, which adjusts the numbers for population. See the surprising results below!